A fight over President Donald Trump’s massive tax cuts—which primarily benefitted the wealthy and corporations—nearly killed the federal $7,500 tax credit for electric vehicles. Automakers lobbied to keep it in place, successfully, and now General Motors wants to see it expanded, reports the Wall Street Journal. GM Chief Executive Mary Barra is asking lawmakers in Washington to expand the electric vehicle tax credit that would help the industry sell EVs at a time when gasoline’s cheap and crossovers and SUVs sell like hotcakes. In part, that’s likely because the tax credit could soon phase out for GM, thanks to the rollout of the Chevy Bolt EV. A handful of auto makers face the expiration of $7,500 income-tax credit that has applied to hundreds of thousands of electric-vehicle purchases since the Obama administration established the offer. GM has used the incentive to bring the tab of its electric Chevrolet Bolt to under $30,000. GM is expanding production of the Bolt, but it will soon hit a sales cap that triggers the gradual expiration of the incentive for individual car companies that have sold 200,000 electric cars since the credit’s inception in 2009. Ms. Barra will call for an “expanded” tax credit at the CERAWeek conference in Houston on Wednesday, based on a copy of her initial remarks. A spokesman said the auto maker would like the volume cap lifted or increased. 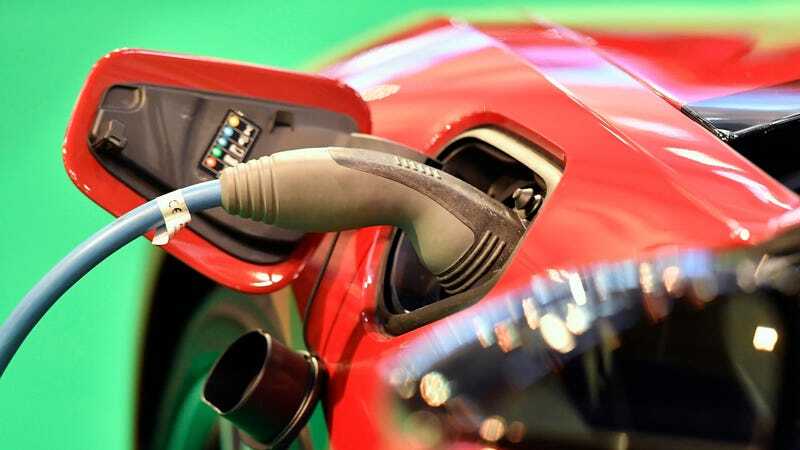 With EVs accounting for about 1 percent of all auto sales, a tax credit can be a persuasive measure for skeptics who need an incentive to ditch gasoline-powered cars for electricity. Automakers fear there’d be a precipitous decline in the already-low EV sales without it, so, again, it’s not surprising to see Barra out front with this sort of message. But I’d be surprised—stunned, really—if the tax-cut happy Republican-led Congress can get behind it. We’ll see.